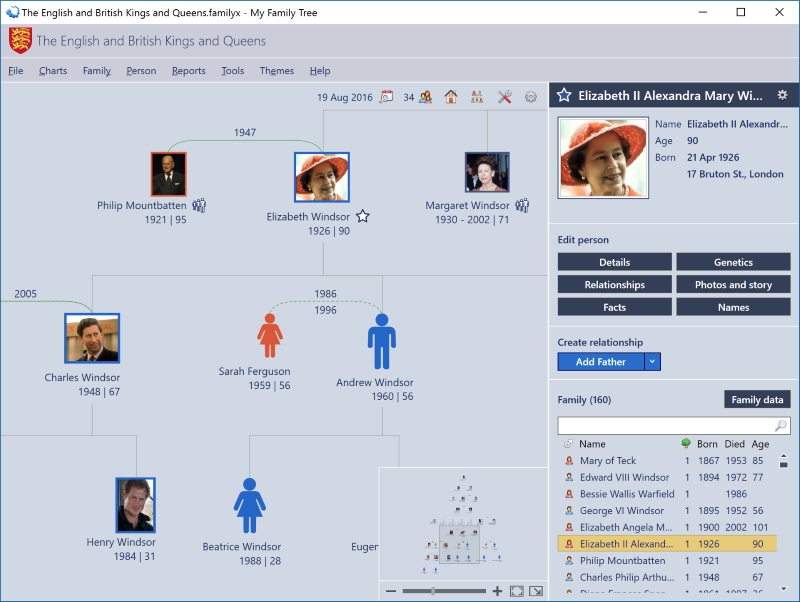 My Family Tree is a free genealogy application for Windows. It has been carefully designed to help you quickly create your family tree using a simple and intuitive interface. For those just starting out investigating their family history, it provides an easy way to visualize and share your family tree with photos, stories and basic facts about each person. More experienced genealogists will find full support for citations and evidence and options to transfer data using the GEDCOM file format. I recently gave this a try and I am most impressed. This software has all of the features of most commercial programs of the same type. I had an issue with the previous version and reported a bug. I got a response almost immediately and a patch to fix the bug was released within hours. Kudos to the programmers for a great, feature rich, program with outstanding support.